Dancing with Goddess Aurora——the outdoor journey of chasing light at the polar region of Canada. 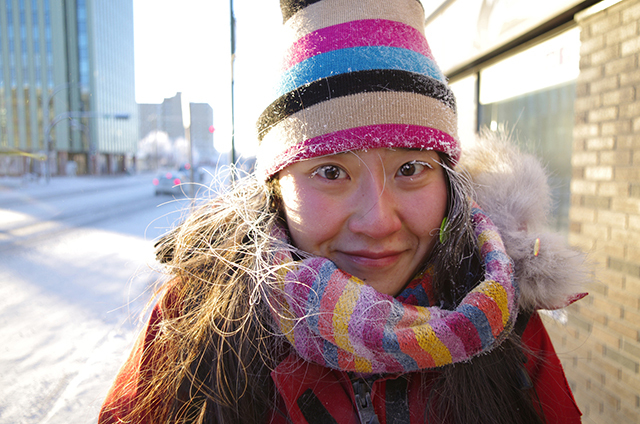 Whenever I hear the song Aurora of Jianya Cai, I was brought back to the chilly and unhurried Yellowknife where you can also smell the odor of the rime. Yellowknife is also known as Yellow Knife town is located on the north side of 45 degrees north latitude of the northeastern region of Canada. Sun rise at ten a.m every day and sunset at 4 p.m at Yellowknife. The soil is constantly frozen there, and the average temperature here is 30 degrees below zero. If you stay t outdoor for more than one hour, your hands and feet will feel numb and feels like you are amputated. You can not open your iPhone. Even though the living condition is extreme here, it can not stop people who chase light and have passions for coming here and exploring the magic and beauty of Goddess Aurora. Yellowknife was famous in Japan because of a Japanese TV series filmed here, so most of the tourists were Japanese. After many years of development, the tourism here is well developed and gradually known by Chinese tourists. The best places to observe aurora are Canada and Alaska, other than counties of North Europe and Iceland. 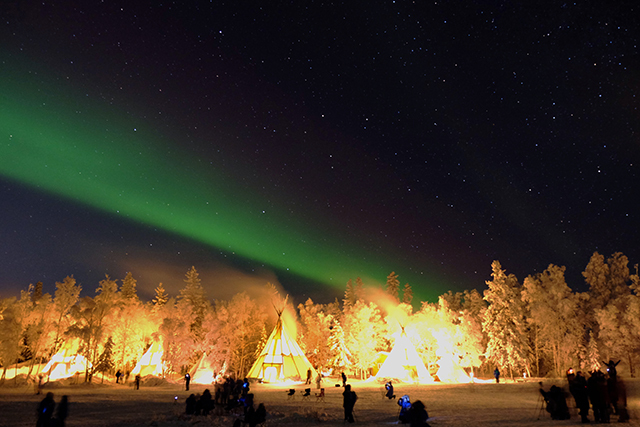 Yellowknife stands out because of its complete tourist facility, diverse culture of autochthon and many recreations around. Western society has a tradition that they would do destination tourism at Christmas and summer. So my male friend and I decided to take advantage of the geographic convenient of Canada and have Christmas and see the aurora at Yellowknife. Whenever I recall this experience, I feel warm. 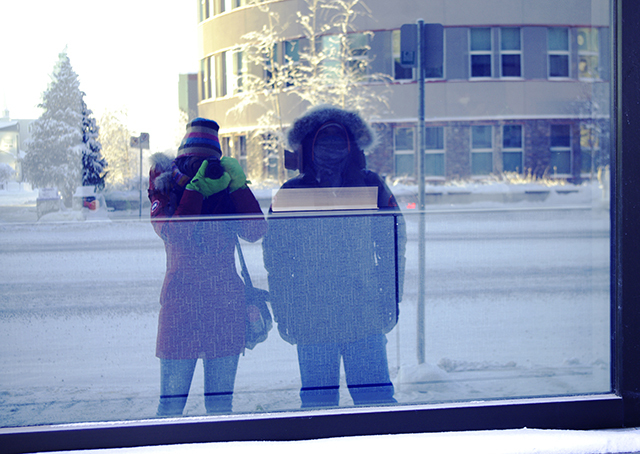 The reason was not that it was a unique experience of watch aurora, it was warm because I was with my best friend. You need to prepare and research in advance sufficiently for watching the aurora outdoor while the temperature is 30 to 40 degree below zero. 1. Tripod. If you want to take a picture of the aurora or film it, you need a tripod. Otherwise, the only thing you can do is to scream at the aurora while holding your cell phone or point and shoot camera towards the aurora. Because the mobility of the aurora is hard to see by human’s eye and it is hard to record if you hold the machine by hand. So a proper tripod is needed. You can rent a tripod at the Aurora village for 10 dollars a night. You can take a good picture of the aurora by using point and shoot camera and mirrorless camera with a tripod. 2. Camera. 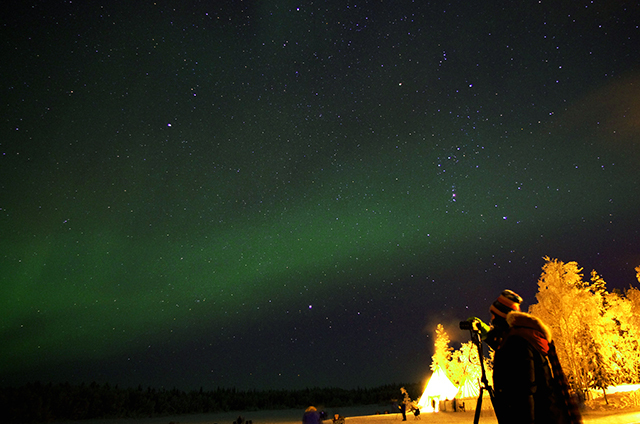 Many people take pictures of the aurora by using the pocket camera with flashlight. I have no comment on the quality of the pictures. The camera I used was a middle-end digital single-lens reflex camera of Pentax. The best lens for the aurora is a wild-angle lens, and you need to prepare at least two batteries. The detail steps are following: first, you need to manual focus at infinity and turn to manual mode ISO1600, F3.5 or the minimum, and the lens speed is between 15-30s. Taking a picture of aurora is not as difficult as you thinks, and any workable camera can do that. The most important things when you bring the camera back to the camp, the temperature difference will cause the lens of the camera frost. They say one of the solutions is do not open the camera bag and leave the camera in the bag without looking and using. Or you can choose to take the batteries with you and leave the camera and tripod on the outside. I was not careful, so my camera lens was frosted heavily. Fortunately, I removed the ice with a cloth, and it did not affect the using of that night. The camera performed flawlessly. 3. Warm clothes. 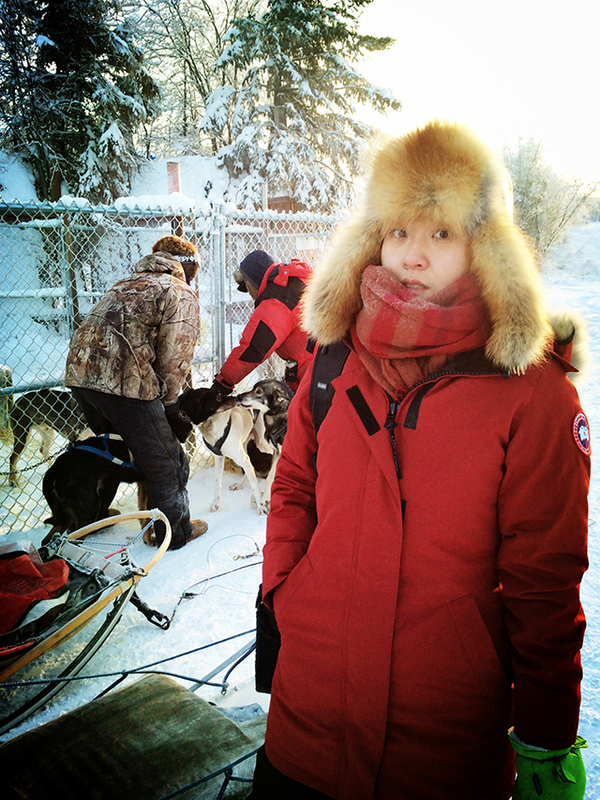 The winter at Yellowknife is freezing. It was so cold that you would feel numb and want to cut your fingers. Opening the bag of the camera became a challenge. The priority is to keep warm. You can rent a suit of clothes at the local tourist organization which includes coat which is polar region style of Canada Goose and snowshoes, gloves, snow trousers, etc. It is around 30 dollar for one night. I brought my equipment. My old roommate left me snowshoes and waterproof pants; my younger sister gave the gloves which were made of down feather. I also prepared Canada Goose down jacket. Because the place I live is cold as well so I can use it other times as well. The clothes for rent are neither pretty nor fits. Besides, you can bring some hitting pads with you, and you can put them in your hands or put them in your shoes. I bought a hitting helmet which was the kind that only leaves your eyes uncovered and it is very useful. You have to wear multiple layers to protect you from frostbite. My tiny finger was numb for one month to two months after I came home and you can see the power of snow from that. We were lucky, the level of the aurora was four to five during the two nights we stayed at the Aurora village. At the first day, the aurora was hiding, and the sky was dark, but I can see a slight green light on the screen of my friend's camera. I was extremely thrilled because that was the aurora!!! Even though I could not see it with my eyes, but I knew the aurora was above me. I started to adjust my camera and tried to take a picture of the aurora, and then I began to see the green light dimly. The light grew stronger, and the aurora in the middle of the screen became a light band. I could see the light with my eyes now. I ran back to the camp and yelled,“coming out!”, Then we heard the people on the lake started to yell happily. When we came out again, the aurora grew bigger and covered the whole sky. The Goddess Aurora was dancing above us. The shape of the light changed every minute, and it looked like Phoenix and dragons. People started to take pictures together. A group of Japanese tourists constantly yelled,“sigoi”(awesome). I adjusted my camera under the aurora. I forgot about the coldness and felt the pleasure of blending with nature. 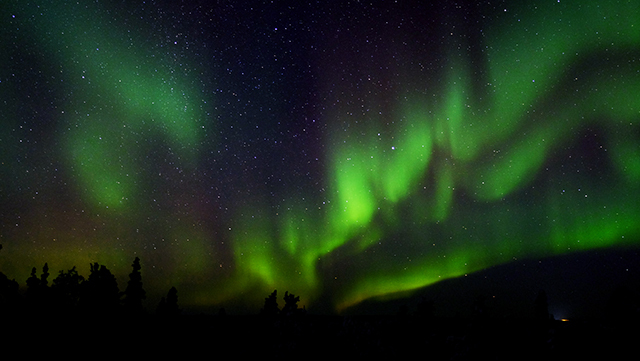 The second day, when we were in the car driving towards the camp at 9 p.m, the aurora was already shining above us. This means that the aurora reached its maximum when we were on the way. I was right, when we got out of the car, the sky was filled with shining light band, and it was just like the wonderland. The tourists who saw the aurora for the first time was thrilled. The aurora that day came fast and disappeared soon. And it gradually disappeared one hour before the time to depart. It was not like the first day, and the aurora was there when we were leaving. Everybody went to the lodge at the Aurora village to buy foods to eat or buy souvenirs such as fridge magnet and postcards at the souvenir shops. Tourists from all around the world left notes on the tourist books. Most visitors came from China, Japan, and Korea. It was fun looking through the notes on the book. One of the tourists said that he did not see the aurora because of the cloudy sky and he hoped he could see the aurora before he left. And there were love notes like they want to be together forever. It was touching. My message was the last one. The gorgeous dancing aurora, the running sled dogs who drag us together, the tenacious autochthon who were good at ice fishing and the tottering exploration at the Great Slave Lake was the most precious experience of that journey. Almost all the restaurant did not open during Christmas which made us order an Elk loin take-out which was 40 dollars. We also went to eat the buffalo meat at Bullord Bistro restaurant where had the most awful service and the most delicious food. We also shared fried white fish with some girls from Japan in the same table after ice fishing. There were many magical experiences because of the accompany of a friend, and whenever I think about this journey, I feel calm and warm. I will go to Iceland and Norway to see aurora with loved ones and my family in the future. But I will not forget that the first time I see the aurora is my best male friend. We have same hobbies which are photography and travel. We have a similar life style, and we know each other’s limits. We are no lovers, but I feel more relaxed and free with him than lovers. 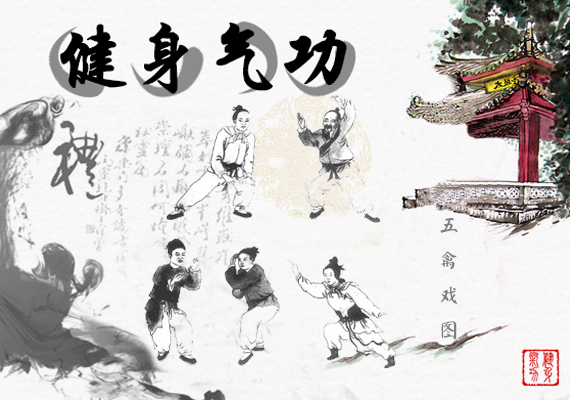 When I hear the song of Jianya Cai, I realized that friendship is sunlight which accompanies me day and night instead of the flitting aurora. Friendship can accompany in daily life and travel thousands of miles. I was not as thrill as I imagined when I saw the aurora for the first time, but I was touched. Human is small in front of nature, but human created a rich culture and lived in this unsuitable living condition. 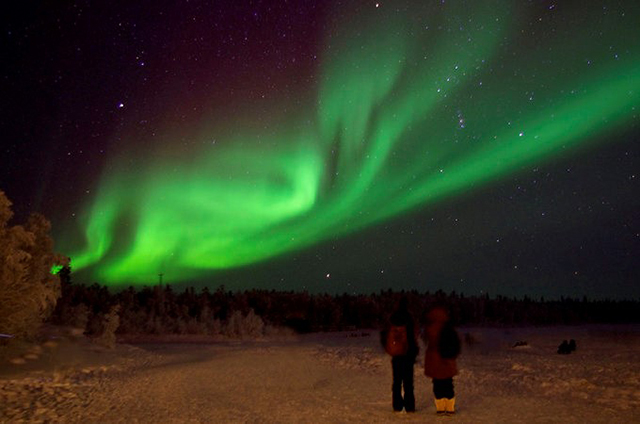 The autochthons are Eskimo, they can not only live here, and they also created a tourist city based on the aurora. This made me have a new understanding of the creativity and imagination of human. Do you dare to have a journey of chasing light without a plan with your friends? We joined the old and famous shop Beck's kennels’dog sledding. They also offer snowmobile. Becks is famous and old in training dogs, they have entered dog sledding competition for years. I saw a trophy in 1975. The dogs worked very hard, right? I took this photo for my teammates standing on the flying sled. Isn’t this picture awesome? The most famous figures at Yellowknife are bear shaped license plate with the aurora on it in the northeastern region of Canada. I hope we are each other’s light which can accompany each other day after day instead of the flitting aurora. Good friends stay together.